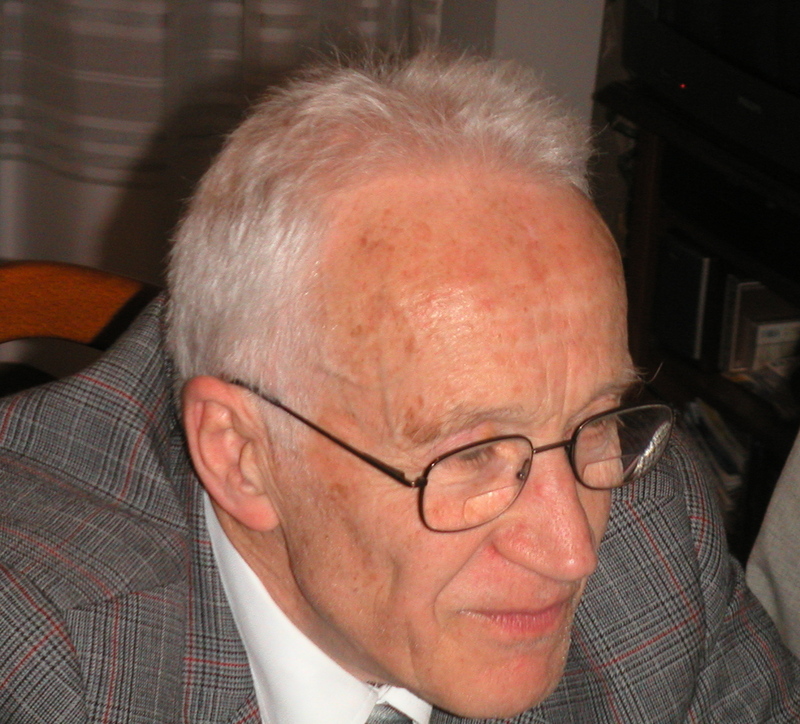 Iwo Bialynicki-Birula is a member of the Polish Academy of Sciences working at the Center for Theoretical Physics in Warsaw. His main interests are classical and quantum electrodynamics, quantum mechanics, and general relativity. He has published 4 books and 184 papers, 44 of them were coauthored by his wife Zofia, also a theoretical physicist. All his papers are available on his website. My paper published in Classical and Quantum Gravity, extends the concept of zero-point field fluctuations from electromagnetism to gravity with the use of an uncommon but very convenient tool: the Wigner function. Electromagnetism is perhaps the most studied and the best understood part of physics. We have an almost perfect theory of electromagnetic phenomena both at the classical and at the quantum level. In contrast, our understanding of gravitational phenomena is not satisfactory even at the classical level. However, there are similarities between electromagnetism and gravitation that may help in exploration of quantum gravity. These similarities are most pronounced in linearized gravity. In this approximation gravitons share many properties with photons. Therefore, we may easily transfer our understanding of electromagnetism to gravitation. In my work I applied this process to a fundamental property of quantized fields—to zero-point fluctuations of the field. Uncertainty relations force the fields to fluctuate. The electric and magnetic fields are canonically conjugate—they cannot have both fixed values. In electromagnetism these fluctuations are well understood and they cause measurable effects (Lamb-shift, Casimir force, shot noise). The field fluctuations may be most directly described by giving the probability distribution of various field configurations. As I have shown some time ago (see the main text), such probability distribution can be defined in terms of the Wigner function. Wigner function has not been used before in this context but as it turned out it is extremely useful. In the vacuum state and also in the thermal state of the field the Wigner function is positive. Therefore, it can serve as a bona fide probability distribution. The same approach is applied in the present paper to the linearized gravity. Instead of fluctuations of electromagnetic field, we have now the fluctuations of geometry, described by the Riemann curvature tensor. A very convenient tool in the study of these fluctuations is the formulation of electromagnetism and gravity in terms of spinors. In this formulation the transition from electromagnetism to gravity is very easy. In electromagnetism there are wild fluctuations of the electric and magnetic field. More specifically, the probability that the field vectors at nearby point are antiparallel is greater than when they are parallel. In gravity we have wild fluctuations of the curvature tensor. Again, the opposite values of the components of the curvature tensor at nearby points are more probable than the same values. These fluctuations of geometry are reminiscent of Wheeler’s quantum foam. Despite their common quantum origin, the electromagnetic and gravitational fluctuations turn out to be quite different. Perhaps the most striking difference is the divergence of the gravitational probability distribution when the temperature goes to zero. In the electromagnetic case we obtain in this limit the ground state. The classical limit of the probability distribution in the thermal state (the thermal Wigner function), when the Planck constant goes to zero, gives the Boltzmann distribution exp(-E/kT). In the electromagnetic case we obtain the standard expression for the energy E – an integral of the squares of electric and magnetic field vectors. However, in the gravitational case the expression for the energy is a double integral of the products of the components of the curvature tensor, confirming the belief that in gravity there is no local energy density. This entry was posted in Author Insights, IOPselect and tagged Quantum fluctuations by Claire Fullarton. Bookmark the permalink.